With more and more men increasingly becoming interested in their personal grooming and wardrobe, there has been an almost unbelievable corresponding increase in brands looking to cater to these new customers. It's now pretty much impossible spend any time online without coming across some new company offering the "best" in online made to measure shirting, allowing you to customize your shirts with virtually any option imaginable or suits, shoes, ties....you get my drift. Needless to say, too much power can be a really bad thing and for someone looking to take the first step to that next level, overwhelming. Allow me to help if I may. When I first started on this journey, I would turn to online reviews and bloggers to help guide my decisions. After a couple of mishaps, I learned that some folks essentially traded good reviews for merchandise. Definitely not where its at and not something I would do to you guys, so I always want to be upfront when I review something I didn't pay for as is the case here. Alright, so lets get into it, shall we? 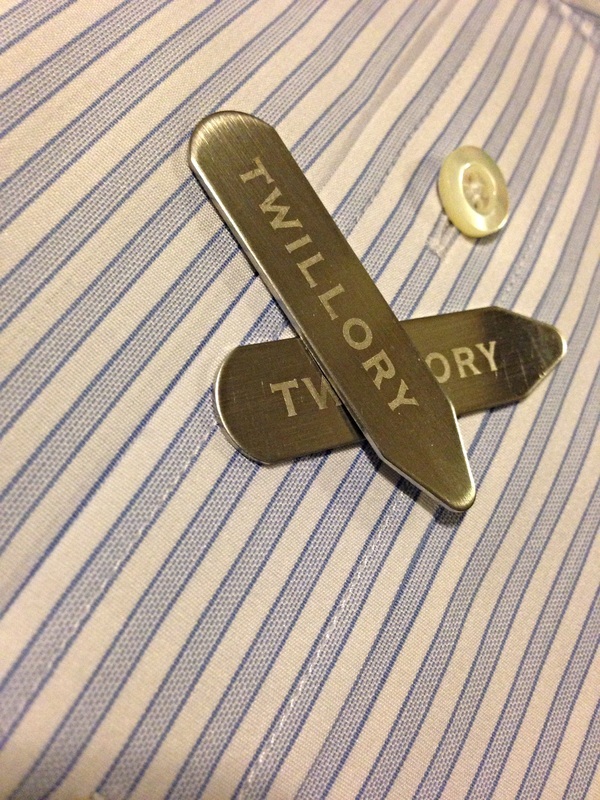 Not too long ago, I came across Twillory while searching for some new shirts and was quite frankly skeptical as I tend to be of a brand that I have no experience with. After searching around a bit more, I decided to reach out via email and was quite pleasantly surprised to receive a quick response back from Jack over at Twillory, who agreed to send over a shirt for me to check out. My first thought was, "if that quick of a response is indicative of their service, we may have something here." 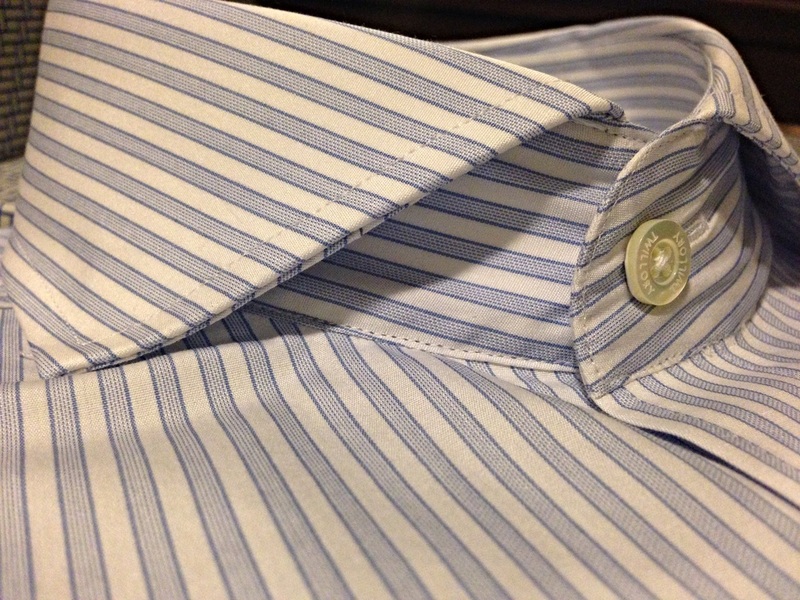 I selected their 'Blue Stripe - French Cuff' shirt in the tailored fit primarily because of the way the collar looked on their website and boy was I not disappointed, hence the image above. I'm a sucker for spread and cutaway collars as you may know if you've followed the blog for some time. By now, Twillory doesn't seem to need any more advocates. However I'd be absolutely wrong not share my perspectives from this first experience. I'm a fan of comparing promises made to delivered product, so I'll start with their "Smart Shirting Synopsis" for this shirt. 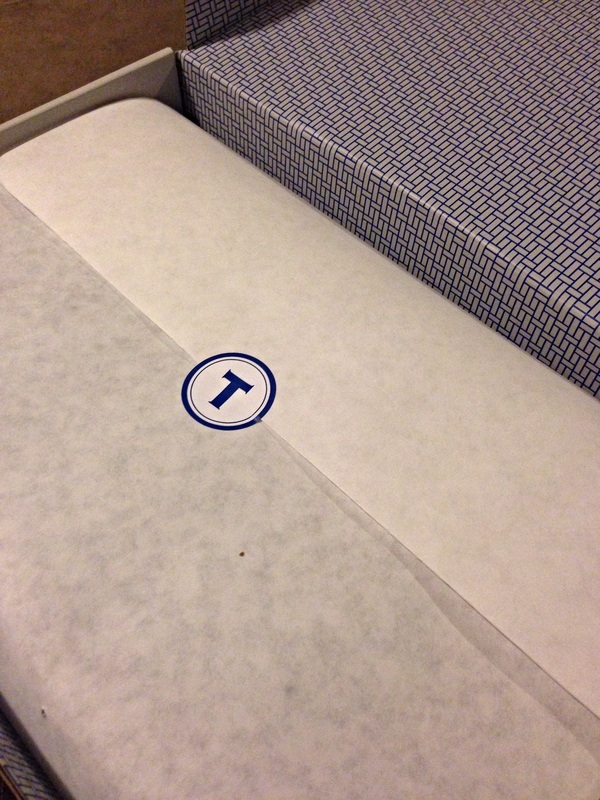 According to Twillory, their goal is to produce versatile shirts using fabrics that they uniquely create for each style. 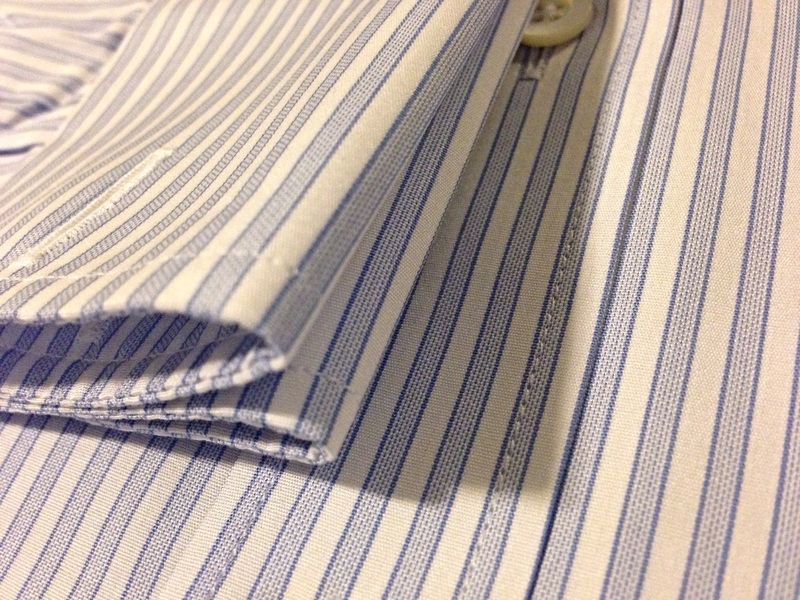 For this particular shirt, its a 120's two-ply poplin which works well at being naturally crease-resistant. The Egyptian/Sea Island cotton used feels fantastic to the touch as well. 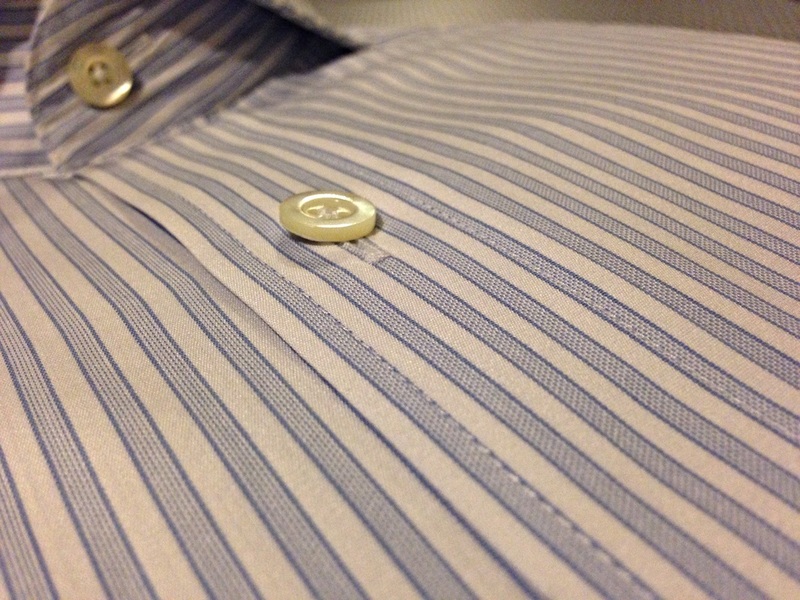 A very nice touch is the addition of the 8th button which helps to keep the shirt in place as you move around during the day, which considering the fact that Twillory uses Mother-of-Pearl buttons on their shirts says something about their commitment. As someone who has become very intense, maybe obsessive(?) about details, Twillory definitely gets a head nod from me. Out of the box, the fit was spot on, which I consider impressive considering that the neck size and sleeve length options are no different from the options offered at your local department store. 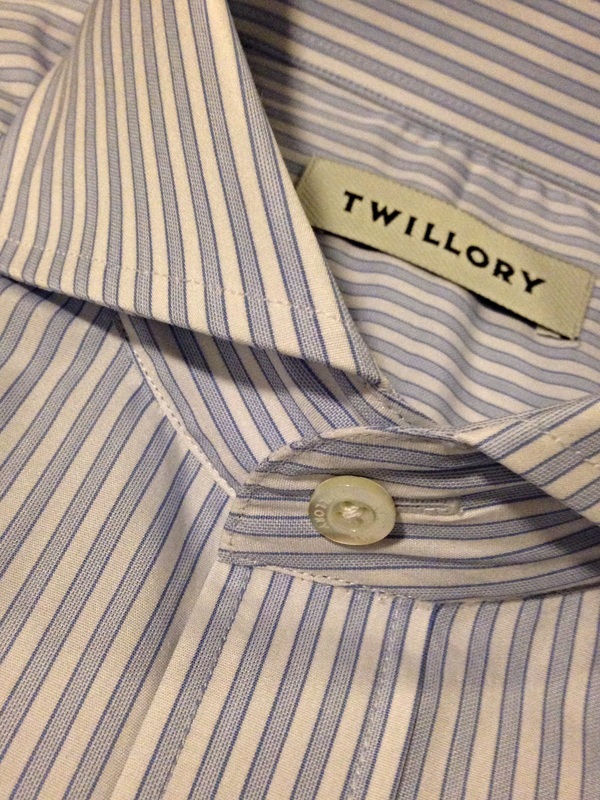 While Twillory offers options ranging from a sky blue royal oxford button-down to a very nice looking denim twill, I liked the french cuff and classic placket options that came with this shirt. The collar on the shirt hits a nice combination of height, size and spread, which for me tends to be the deal maker or breaker. So to what I didn't like. Well nothing really. The slightly shorter length of the shirts may be an issue for some, but that's it. Fact is, this shirt is extremely well made of high quality fabric. Just looking at the way the real MOP buttons are solidly attached should be enough to sell this. 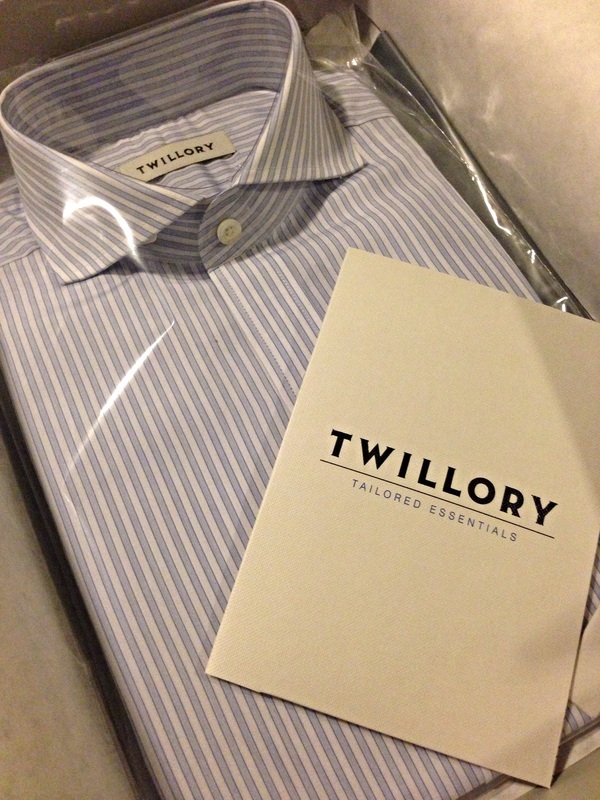 Twillory legitimately delivers what they promise and at $79 a shirt, a great deal. Last thing I'd like to mention is their RE: Purpose program. Maybe it's naive of me, but I am always on board with any opportunity to give back. Included in the box with your shirt is a pre-paid mailer bag that you can fill with gently worn items that Twillory will inspect, launder and distribute to those in need. I strongly encourage you to check Twillory out and to please participate because as they say on their website, "Poverty knows no seasons."